The Ezpeleta Paisley Folding Umbrella a new addition to the Umbrella Heaven range of compact umbrellas. This brightly patterned umbrella is small enough to take anywhere with you. 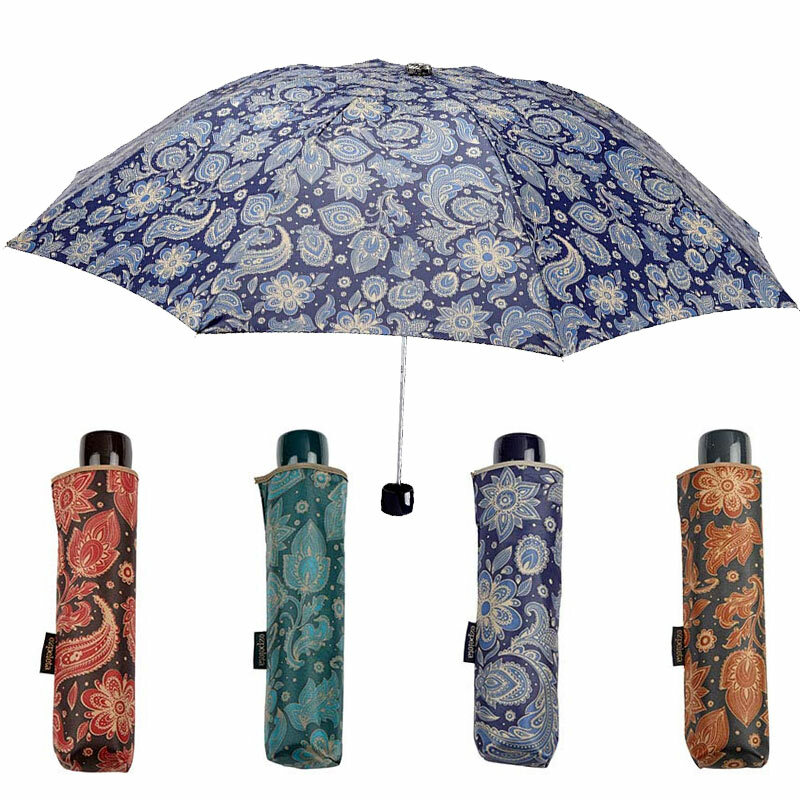 This Ezpeleta Paisley Folding Umbrella is part of our brand new Ezpeleta collection. This colourful neat compact comes in 4 beautiful variations; Red, Green, Blue and Brown/Bronze. 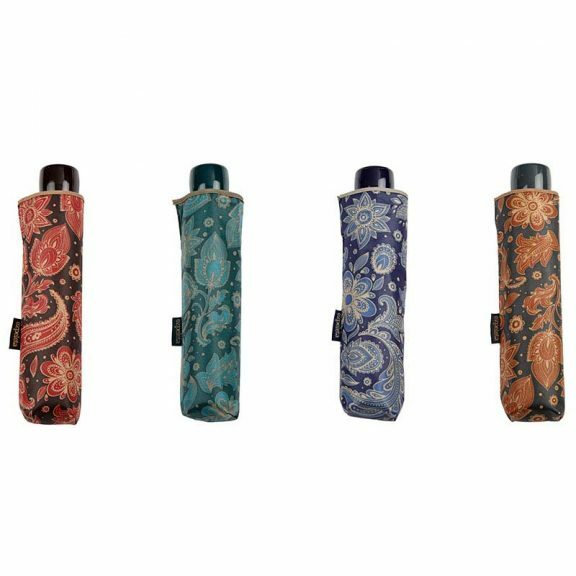 In a traditional paisley design these jewelled beauties are perfect for popping in your bag, glove-box, briefcase or suitcase. Small enough to carry discreetly and bold enough to make a statement when needed. 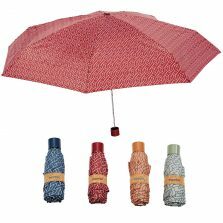 This manual opening umbrella has a metal frame and shaft with colour matching plastic moulded handle. 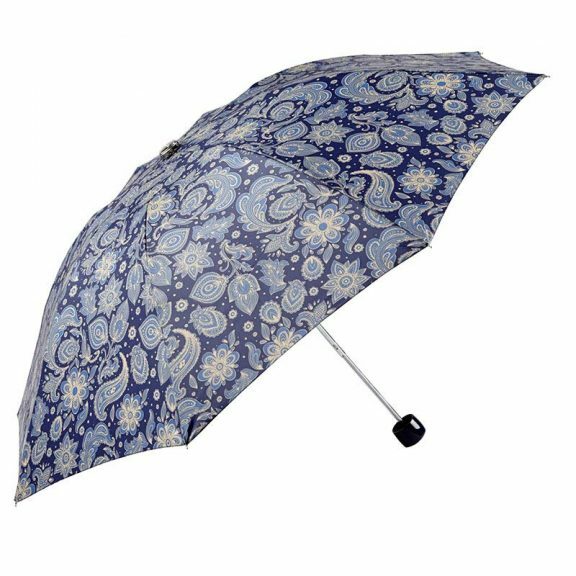 The generous canopy is polyester and very hard wearing and it comes with a beautifully made matching sleeve for extra protection when not in use. 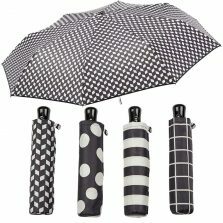 We are really proud to have the glorious Ezpeleta collection as part of our vast range at Umbrella Heaven. 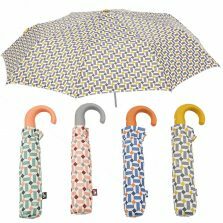 We can now offer you around 1000 different styles and colours. If you fancy it, we should have it. But if we haven’t why not contact us and let us know what you are looking for? 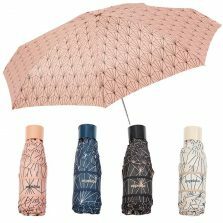 Click and check out the rest of our compact / ladies folding umbrellas!